I think adding camouflage to a cache container shows extra effort on a cache hide and makes the cache that much more memorable. 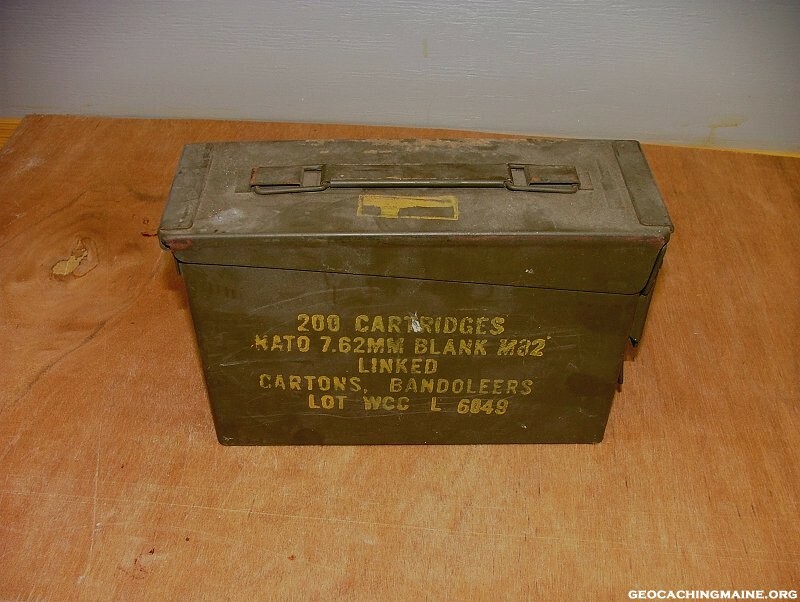 In the case of ammo boxes, camouflage makes them a little less military-like, which might make non-cachers less likely to think it is a bomb or an old box full of shells or dynamite. The box below doesn’t look very friendly, does it? Stash notes for geocaches almost never stay on top where muggles can readily read and understand what geocaches are. Any of you who have done my ammo box caches have probably noticed my stash note tecnique. 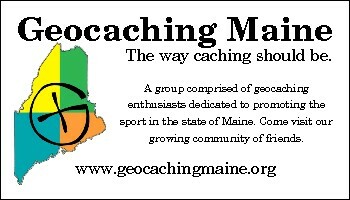 The attached PDF file will print Geocaching Maine cards like the one pictured below onto Avery compatible buisness card stock, 10 cards to a sheet. 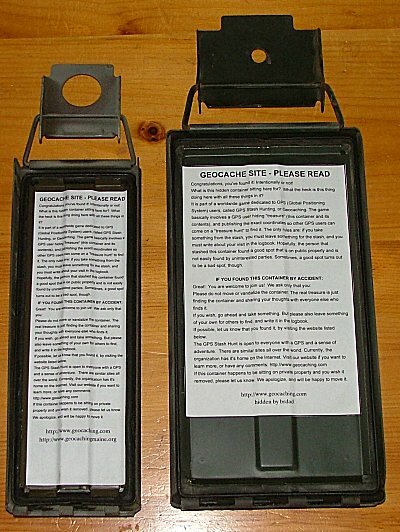 These may be left in caches or passed out to help promote Geocaching Maine. If you have buisness card printing software, you could turn the sheet over and print your info on that side, and leave in a bag with your signature item.